One exchange between Sen. Daniel Lang and CSIS Assistant Director Michael Peirce ended with the security official making a startling admission — CSIS does not investigate mosques! SEN. LANG: "Is there teachings going on in this country, in Canada, that are espousing that particular viewpoint [of Islam], which is then transferring itself into radicalization?" How could CSIS give a pass to some of the very institutions where Muslim youth are introduced to the doctrine of Islam's supremacy over other religions? To sample this type of rhetoric let me share the words of a Canadian imam who is regularly consulted by Canada's security agencies. "O Allah, protect us from the 'fitna' (mischief) of these people. O Allah, protect us from the evil of these people. O Allah, destroy them from within themselves, Ya Allah, and do not allow them to raise their heads against Islam." "We have to establish Islam (in Canada). I want to see Islam in every single corner of the city. I would like to see Hijabis, Niqabis (face-masked women) everywhere in the city. 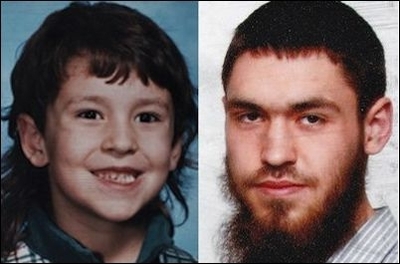 I want to see brothers (Muslim men) in beards and kufis (skull caps) everywhere." Another Islamic organization in Toronto runs a school as well as a mosque. On an Urdu-language TV channel, its cleric and its administrator defended the establishment of a worldwide Islamic caliphate, saying, "Having a Caliphate is an integral part of the Islamic faith. Every believing Muslim prays for a true Caliph." The dissension being planted in the minds of young Muslim children is widespread and not new. It's time for CSIS and the RCMP to recognize that outreach and appeasement programs have failed. A Toronto high school teacher, Brian Sambourne, recently wrote a letter to the editor of The Globe and Mail, revealing that on the day the New York twin towers fell on 9/11, some of his Muslim students celebrated the event. Sambourne, who noted these students had "deep grievances" about constant wars in the Mideast, told me that over the last decade, these anti-West feelings have gotten worse. On the day Osama Bin Laden was killed in Pakistan, he said, Muslim students disrupted his class and were visibly angry with the U.S. mission. Tarek S. Fatah is a founder of the Muslim Canadian Congress, a columnist at the Toronto Sun, host of a Sunday afternoon talk show on Toronto's NewsTalk1010 AM Radio, and a Robert J. and Abby B. Levine Fellow at the Middle East Forum. He is the author of two award-winning books: Chasing a Mirage: The Tragic Illusion of an Islamic State and The Jew is Not My Enemy: Unveiling the Myths that Fuel Muslim Anti-Semitism.